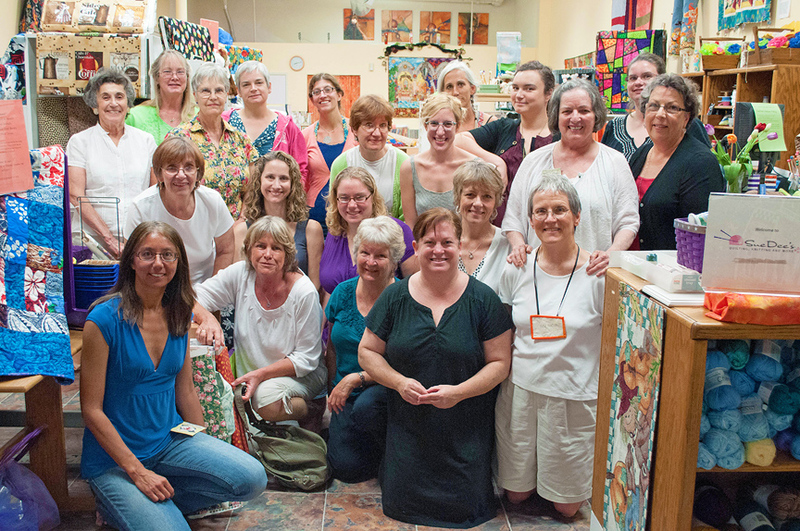 The South Bay Area Modern Quilt Guild is a local chapter of the Modern Quilt Guild. Our guild was founded in September of 2011. October 2012. 1+ year anniversary for SBAMQG. Photo credit: Anne Sullivan. In addition to our monthly guild meetings we host sew days, workshops, and an annual quilt retreat. Our guild members also design and create charity quilts. Our membership year is from January to December. Joining our local guild also gives you membership to the Modern Quilt Guild (MQG). We welcome visitors to join us at our monthly guild meetings and learn more about us. We invite you to attend two complimentary meetings before joining. We would also be happy to answer any of your questions via email sbamqg@gmail.com.